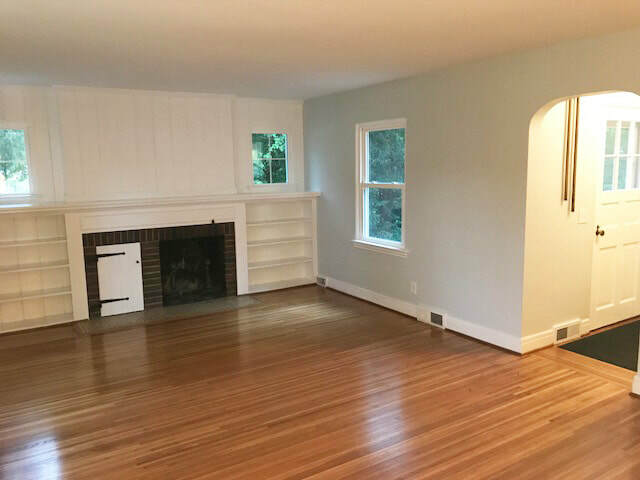 This lovely, completely renovated 3 bedroom, 2 bath cape is a delight! 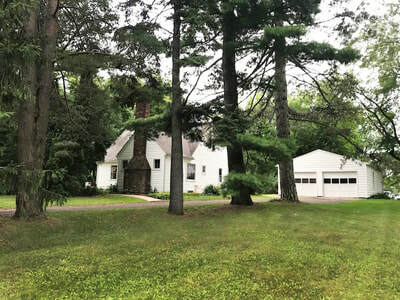 Set back on a beautiful one acre lot with mature trees and landscaping, there is great space and privacy. The home itself has a wonderful floor plan filled with charm and a long list of quality improvements. 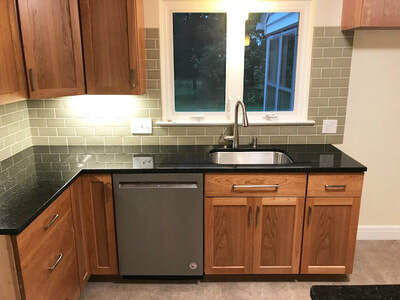 The beautiful new kitchen includes: local custom made cherry cabinets with dovetailed drawers, all plywood box construction, undermount soft close hardware, 42” uppers, and ball-baring wooden Lazy Susans; granite counters with undermount stainless sink and bar seating; Kitchenaid stainless steel dishwasher with ball-baring glides; microwave and Insinkerator disposal; new lighting; and vinyl plank flooring. 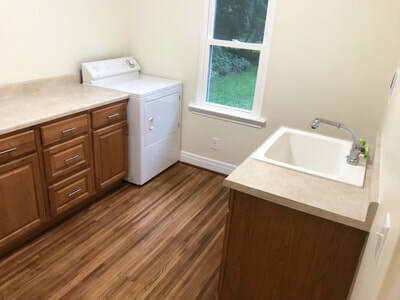 Adjoining the kitchen is a large first floor laundry with significant additional cabinet storage and laundry sink. 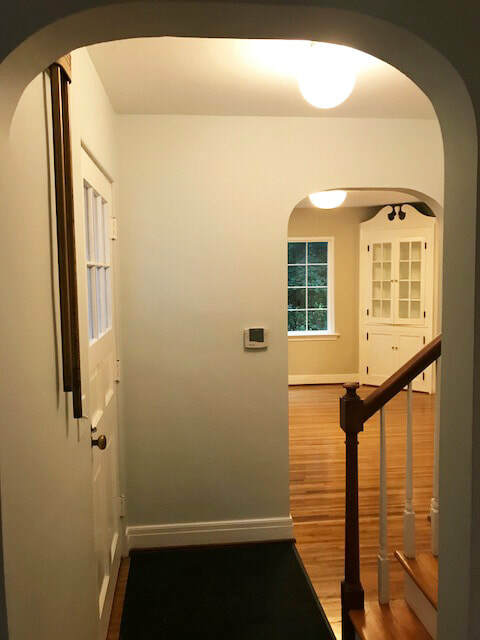 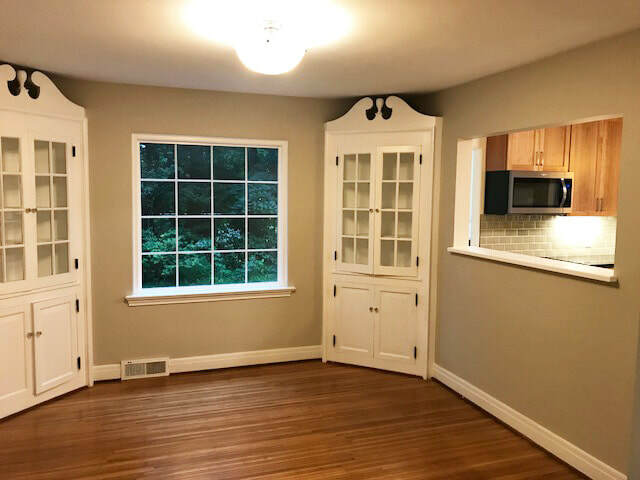 A lovely pass-through connects the kitchen and the charming formal dining room with two built-in china corner cabinets. 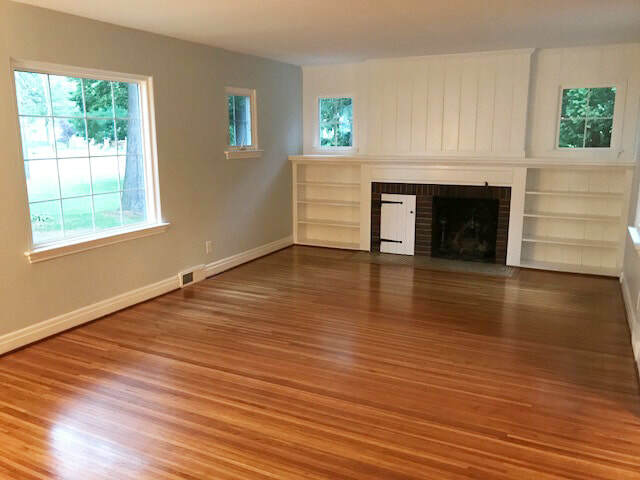 The very large light-filled living room has built-in shelving flanking the original fireplace. 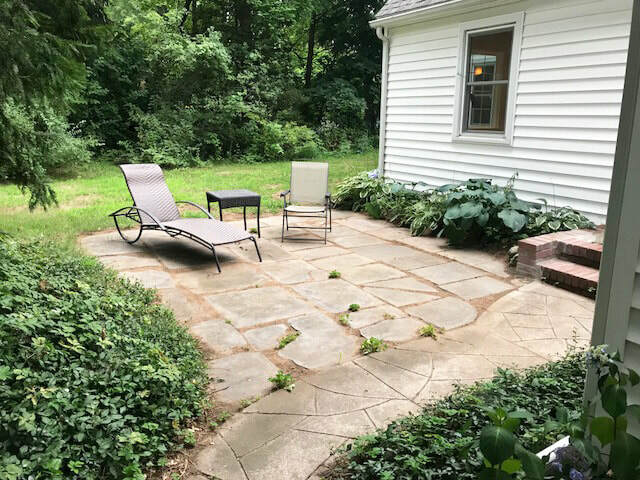 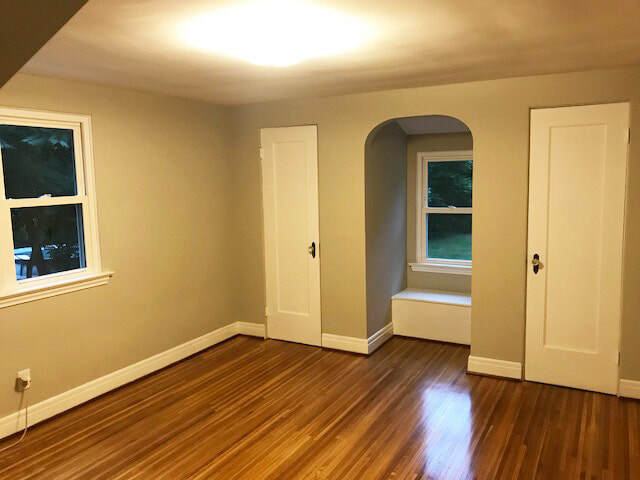 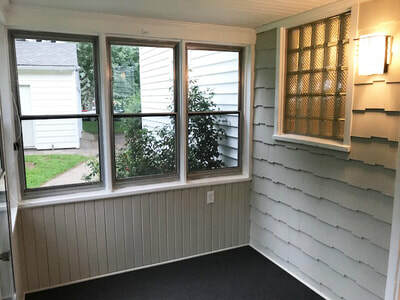 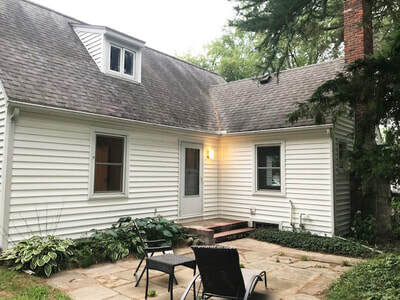 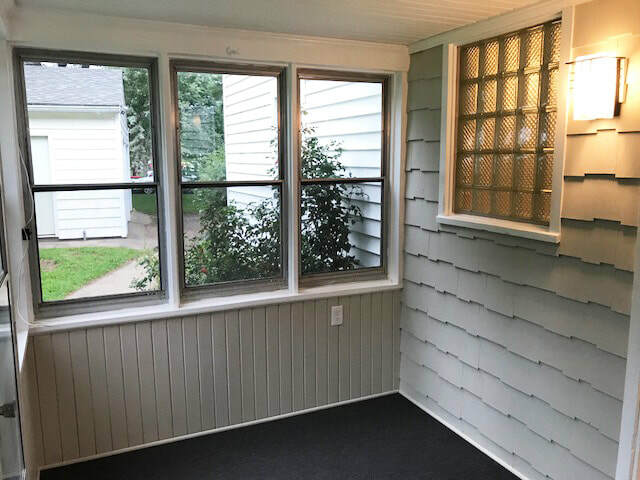 A renovated full bath, bedroom/den/office with two closets, enclosed rear porch and secluded front patio complete the first floor. 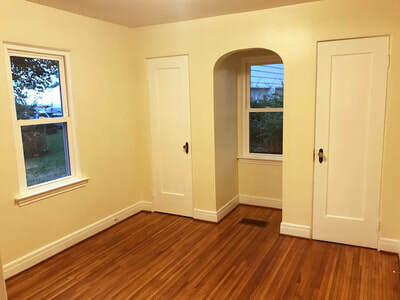 Up are two large bedrooms (the master has 3 closets! 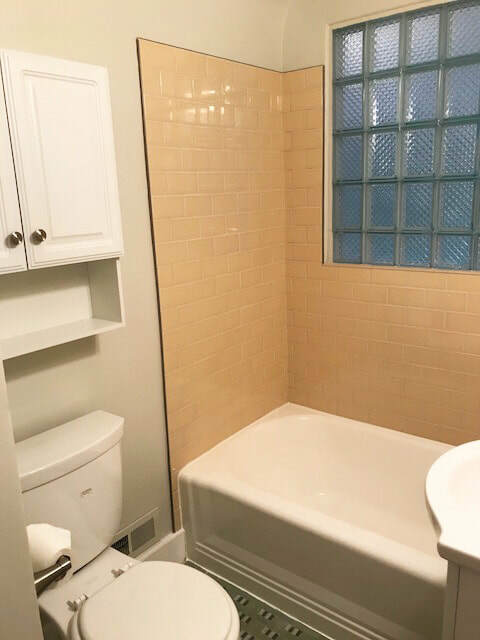 ), and an updated full bath. 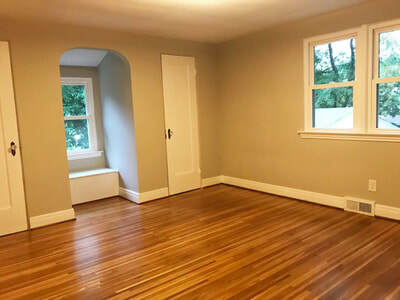 Hardwood floors have just been refinished and the whole interior is freshly painted. 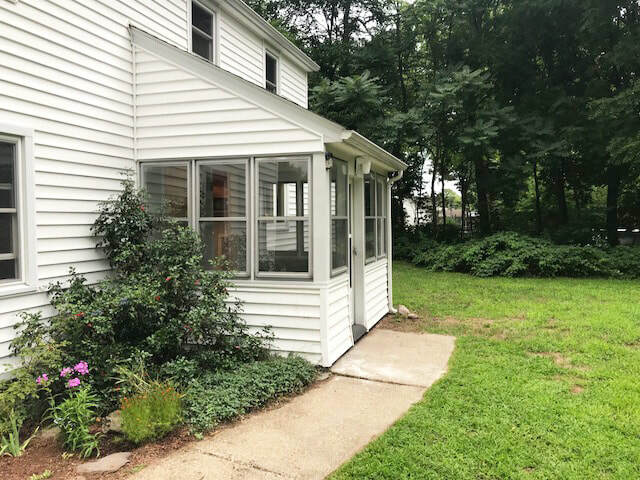 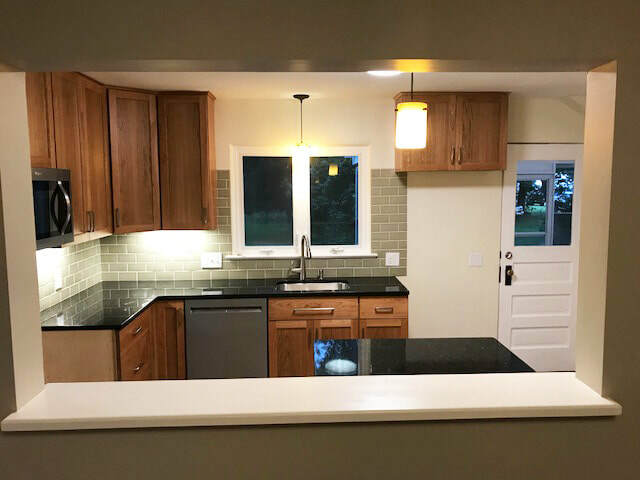 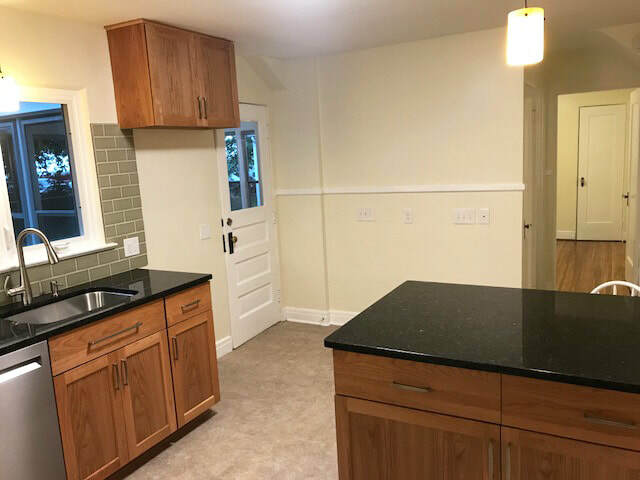 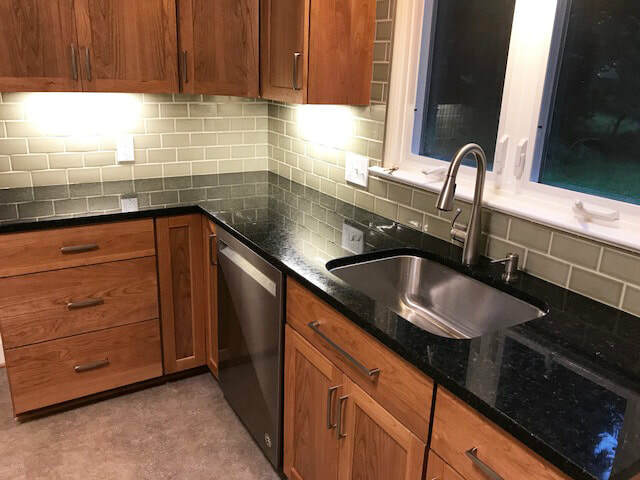 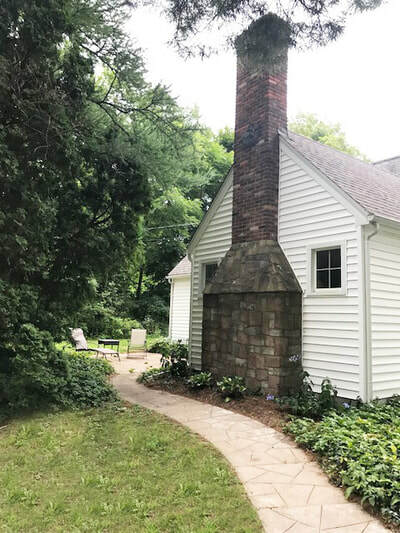 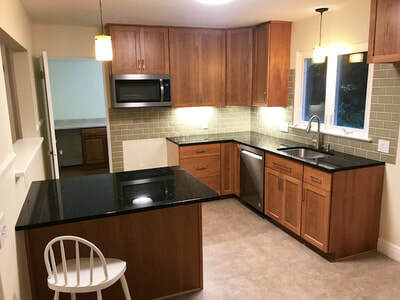 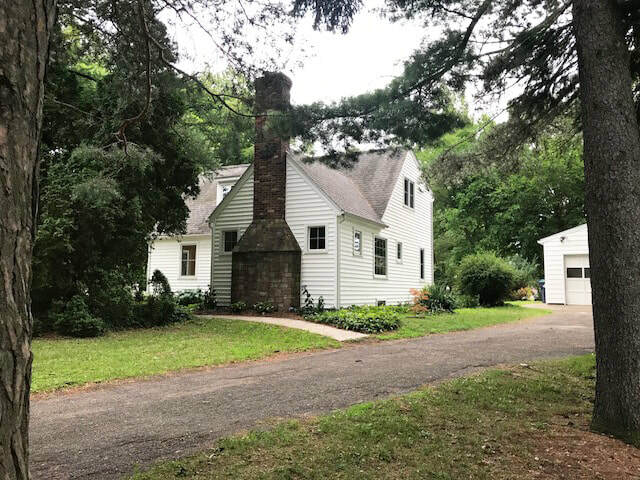 Mechanics are all updated with new thermopane windows throughout, architectural shingle roof, vinyl siding, new 150 amp circuit breakers, and high efficiency gas furnace (2014) with 10 year parts and labor transferable warranty. 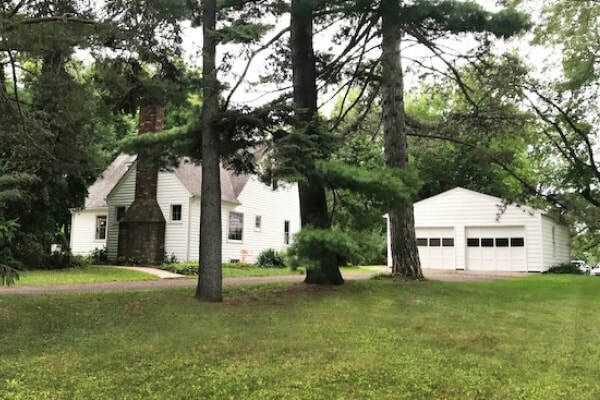 A newer 2-car garage with opener adds to the amenities. The existing riding lawnmower and the snow blower are also included. 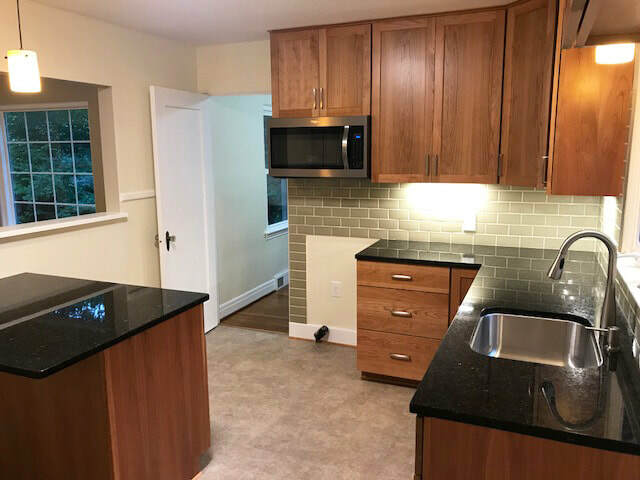 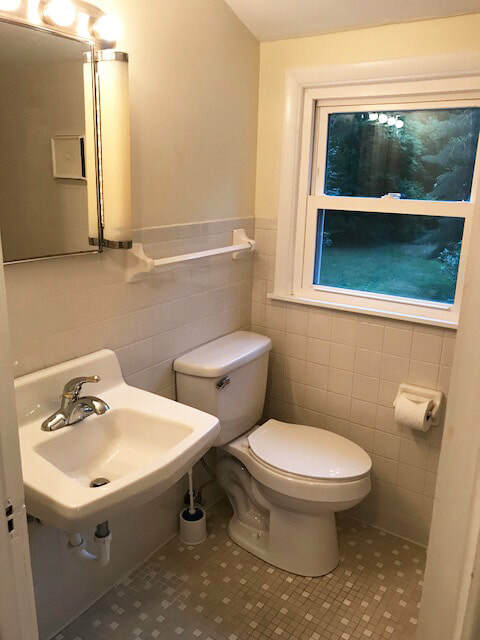 ​Convenient, quiet, charming, and spacious, with wonderful improvements and a great layout, this is a home to be enjoyed from the moment you move in and for many, many years to come!